Back in 1998 I sat having, what my father-in-law calls, quiet time. In the smallest room of the home I was reading an article about Winston Davis. Winston was a cricketer who had played for my county Northamptonshire and the mighty West Indies. According to one of my best mates, Andy Roberts, he was a top bloke who could bowl at the speed of light. Winston had fallen from a tree and had broken his neck causing permanent paralysis from the neck down. Around that time my brother-in-law Tristan, whilst away at university, also had an accident breaking his neck leaving him in the same situation as Winston. To raise awareness of spinal injuries I decided to organise a cricket match at my home club of Finedon Dolben, here in Northamptonshire. Little did I know where that quiet time brain wave would lead to. The day became a huge success and a host of cricketing legends came together and money was raised. I am now a trustee for Winston and we have become good friends. 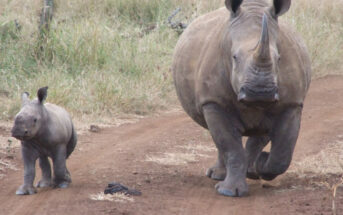 On early family trips when in South Africa we would head off on safari to reserves including Ithala and Weenen. In those days we could slide Tristan from his wheelchair and into the front seat of a standard car. 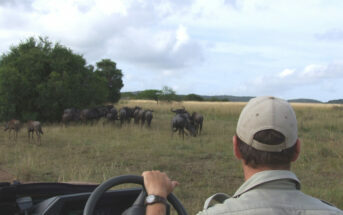 On one safari we even managed to get him into a game viewing vehicle. This however required a Heath Robinson plan including ropes, a sheet of wood and an ironing board! Winston had been generously donated a customised vehicle in 1999 enabling him to drive his motorised wheelchair into the back, allowing him to travel freely. He always said that if he ever got a new vehicle he would donate his vehicle, he knew affectionately as ‘Betsy’, to Tristan. In 2014 during a conversation with Alan Fordham, an ex-team mate of Winston and now a prominent figure in the England & Wales Cricket Board, I mentioned that Winston was in need of a new vehicle. Alan then spoke to the Professional Cricketers Association and I got a text from him saying that the PCA would fund a new vehicle. The PCA are an organisation that have done so much for ‘cricketers’, more than we will ever know, changing and even ‘saving’ lives. Before Winston took delivery of his new vehicle he called me say that he wanted to give ‘Betsy’ to Tristan on the condition that I arranged the shipping. It had never really occurred to me that ‘Betsy’ would actually end up in South Africa. After a year of paperwork, bureaucracy, sailing times, import legislation and many SA Rands ‘Betsy’ is now on the road. I cannot find the words, and even get emotional, when thinking of what all this has meant. ‘Betsy’ has simply been a life changer. On our most recent trip we took our first family safari for many years. 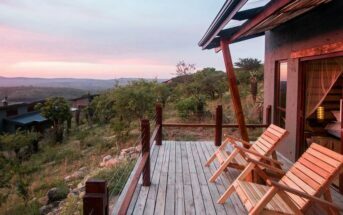 I will be adding a blog post very soon about our adventure to Cheetah Ridge Lodge in Nambiti Pvt Game Reserve. It was not all about safari’s. Tristan had not been off the family farm, other than laid flat in an ambulance, for over 10 years. Things that we all take for granted were never possible for Tristan, now they are. Fast food drive-thru’s for burgers, fried chicken and even Chinese food. Trips to buy biltong & droewors from butcheries. It was not all unhealthy eating trips. We ventured back to Weenen Game Reserve and into the mighty Drakensberg Mountains to take in the snow covered peaks. For the first time me and my SafariKZN partner were on the road together. Highways, tar roads, pot holed roads and dirt roads. Long and winding roads, even roads to nowhere. Thank you Winston, the PCA, and all those people who have helped and offered support. ‘Betsy’ from Bewdley is a life changer the province of KwaZulu Natal.